Car models from the mid- to late-1990s and newer have a transponder chip placed in the head of the key. This is a security feature in which the transponder emits a signal to the engine telling it if the correct key is in the ignition. 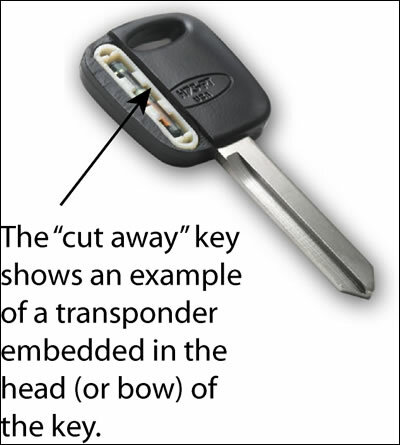 Transponder car keys also have a shaft which is either a basic cut key or a laser cut key. While this is a more sophisticated key, benjamin's car locksmiths have the high-tech equipment to program you a replacement transponder key that will work every time. We always supply fast, honest service and will make your key as accurately and quickly as possible. we will program and cut a new key or simply copy another for you if you just need a spare . we do it all 24Hr so call us at any time day or night for all car key issues .